Our guest today is Dr. Richard Mabry, a retired physician, past Vice-President of the American Christian Fiction Writers, and the author of five published novels of medical suspense. His books have been finalists in competitions including ACFW’s Carol Award and Romantic Times’ Inspirational Book of the Year. His last novel, Lethal Remedy, won a 2012 Selah Award from the Blue Ridge Mountain Christian Writers Conference. His most recent medical thriller, Stress Test (Thomas Nelson), was released this month, and will be followed by Heart Failure in October. 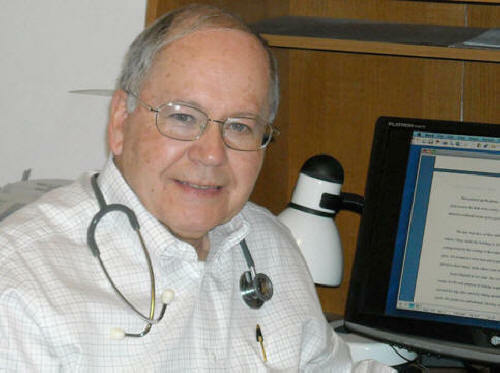 You can learn more about Dr. Mabry by visiting his Website. SS: Why did a medical doctor become a novel writer? Although I had written over a hundred published professional papers and either wrote or edited eight textbooks, non-medical writing was the furthest thing from my mind until the death of my first wife. I turned to journaling to help me through that experience, and several friends encouraged me to turn that material into a book. But I had no idea how to do that. I ended up at a Christian writers conference, where I not only got started on the road that led to The Tender Scar: Life After The Death Of A Spouse, but, thanks to encouragement from Alton Gansky and Jim Bell, I decided to try my hand at fiction. SS: How do you use your medical background in your writing? How do you research your novels? I write medical thrillers because of my thirty-six years’ experience in the field, the last ten spent as a professor at the UT Southwestern Medical Center. One might think that because of my background I wouldn’t need to do much research, but the field is constantly changing and I have to work to keep up. Of course, part of that is participation in continuing medical education, which I do regularly. For specific questions, I read papers online. Of course, sometimes, such as in a recent novel, I play “what if?” and then notice a year later that what I postulated has come about. SS: How often might a real life doctor come across the scenarios we read about in medical thrillers? Some of the situations in my book are taken either from my own experiences or that of colleagues. Sometimes I use scenarios I’ve read about in journal case reports. I’d say that more than half of the situations I employ are things I know could happen, although I haven’t seen them. Finally, the slightly “far out” situations, such as I pose in my last novel, Lethal Remedy—a superbug and a new drug that might cure it but with hidden, deadly side effects—are conjecture when I write them but headline news later. SS: What has been the greatest help to you as you’ve become a writer? What’s been the hardest thing? I had to put aside everything I’d learned in medical writing to compose fiction, so in effect I had to start over. I read lots of books—Bell’s Plot and Structure, Collins’ Getting Into Character, Lukeman’s The First Five Pages, and many others—and attended writer’s conferences. My first mentoring class was at Mount Hermon with a very talented writer and patient teacher named Gayle Roper. I’m still using the things I learned from her. SS: As a doctor, what bothers you most when you read about medical stuff in fiction or watch it on TV, especially in crime/suspense fiction? From the days of Ben Casey to the present, I don’t watch medical shows on TV. They have to wrap up in 45 minutes (plus commercials) what it generally takes hours or days, sometimes weeks, to accomplish in real life. Although they get some things right, they have to pander—I mean, cater to TV audiences, and the errors set my teeth on edge. SS: As a guy, what drives you crazy about the heroes you read, especially when they’re written by women? It’s hard to generalize here. Some women do a good job of portraying a male lead, just as some men do well with heroines. What gets me is when a fictional hero’s actions are totally out of character—men and women think differently, act differently—so, when both the hero and heroine seem cut from the same cloth, it bothers me. SS: You are a Christian and a doctor, a husband and a father as well as a writer. How do all these identities mesh? During all the years as a husband and father, my family came before professional activities. I didn’t make as much money as some of my colleagues, but I never missed a baseball game, a swim meet, or a speech tournament. And Cynthia and I had a date night once a week unless there was some major event preventing it. I tried to carry my Christianity over into my medical practice, as well as living it every day. I wasn’t always perfect—none of us are—but I tried. Jesus was the ultimate healer, and I tried to show His compassion to my patients. There are a number of doctors out there who live their Christianity every day, in the office and in the grocery store. I wish there were more. In my writing, I have to stop periodically and ask myself why I’m writing. Not for publication, although that’s nice. Not for good reviews, although I confess I read them. But to portray how God is, or can be, an important part of the life of everyone. In the acknowledgement of my latest book, I end with the words of Bach and Handel who signed their works thusly: Soli Deo gloria —to God alone be glory. That’s why I write. SS: Tell us about your latest project. Why did you write it? When and where can we get hold of it? Stress Test is my fifth published novel, the first from publisher Thomas Nelson, and it officially launched on April 9. In it, a doctor walks into the dark hospital parking garage in the wee hours of the morning, is kidnapped, and appears to be headed for his death. He manages to escape, sustaining a head injury in the process. When he awakes in the ICU, he finds he’s charged with murder. A female attorney who says she’s through with doctors is his only hope to escape the situation. I got the idea when I was walking to the parking garage at the medical school where I was on staff and thought, “This would be a great spot for a kidnapping late at night.” After that, I just had to populate the story and see where the characters took me. 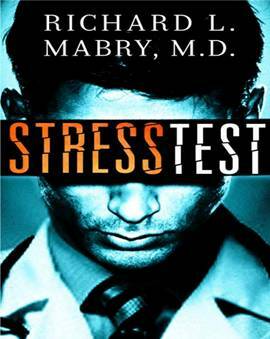 Stress Test is available from all booksellers, online or brick-and-mortar, as well as directly from the publisher. It’s gotten some great reviews and endorsements, and I hope readers enjoy it as well. Dr. Mabry has graciously offered a free copy of Stress Test to some lucky responder. Don’t forget to leave your name and email address! Thanks for the opportunity to visit here. I'm especially thrilled because the women who write this great blog are friends, colleagues, and (in a couple of cases) mentors. I hope the blog readers enjoy Stress Test. Richard, Stress Test was a fabulous book. Loved the character and plot. Readers are in for a real treat! Love medical suspence, but have never read anything by this author, so would love winning this! Thanks for the offer! I love medical Christian fiction and am so anxious to read this! Am currently reading Code Blue and have 2,3,4 in my TBR stack. CB is really blessing me! I want to sign up for this blog if I can do it via E mail. I would LOVE to win this book. I have read 1,2 & 3 and am looking forward to reading Lethal Remedy! I really enjoy medical fiction and adding suspense to it, just makes it better! I've been wanting to read one of Richard's books for quite a while, but haven't managed to do so as yet. I would love to win a copy of Stress Test. Thank you for the opportunity. Thanks to everyone for your comments, and to Suspense Sisters for hosting me. I appreciate it. Looking forward to reading this (new to me) author. Thanks for the info! I think it sounds like a great book by a new to me author! I would like to win it! Martha T. @CRPrairie1 at imonmail dot com.